Rolls-Royce has only ever released seven generations of its flagship Phantom. 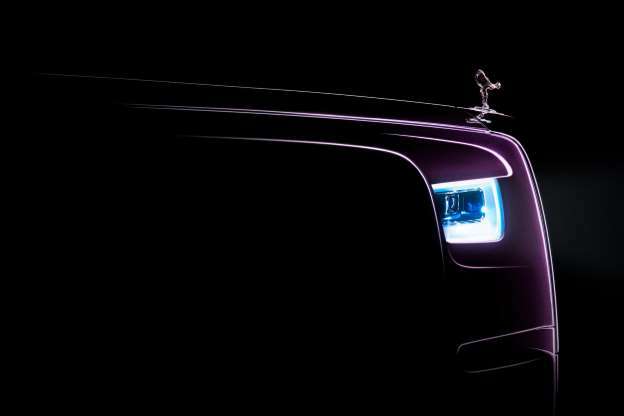 Ahead of the eighth generation’s reveal in late July, Rolls-Royce released a teaser, and Phantom VIII is lookin’ good. The teaser gives us a little bit to work with, but not much. Sure, the Spirit of Ecstasy remains front and center on the hood, but that was expected. The headlight appears slightly different, perhaps a bit thinner, with a seriously bright running light along its border. The front end’s edges look a bit smoother than on Phantom VII, too. That’s about all we can see, really. Aside from a hint of its grille in an official video, which we pointed out yesterday, Phantom VIII remains shrouded in mystery. We believe that it should ride on an aluminum-intensive platform, similar to the forthcoming Project Cullinan SUV. It should look, drive and feel like nothing else in the industry, which you should expect from a car costing north of $400,000. All will be revealed soon enough. Rolls-Royce will lift the veil on Phantom VIII on July 27 at 4 p.m. Eastern, and we’ll have photos and video for you to peruse at that time. Until then, start saving those pennies — you’ll need a whole lot of ’em.